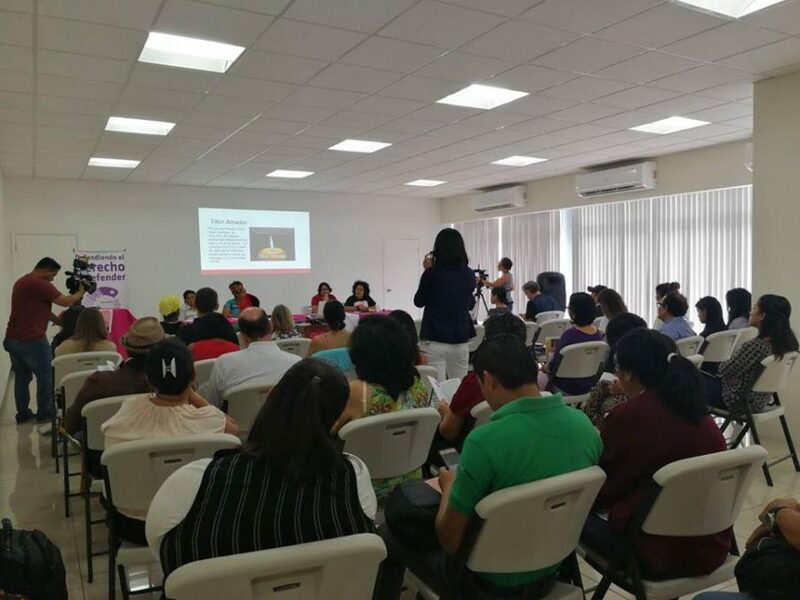 National Network of Women Human Rights Defenders in Honduras – On Thursday, May 3rd, the National Network of Women Human Rights Defenders in Honduras (RNDDH) presented the report ”Defend in order to Live” on the situation of women human rights defenders and the attacks they have experienced in 2016 and 2017. At the presentation of the report, RNDDH Coordinator Yessica Trinidad noted that “Defend in order to Live” is more than just a report on attacks against women defenders. For the RNDDH, it represents two years of committed, safe, effective, feminist political accompaniment, closely related to the realities that women defenders face for engaging in their work in defense of life. For this, they face theats, persecution, judicial prosecution and criminalization by those who should be seeing that justice is done in the country. One of the findings in the report is that violence against women defenders has intensified. This is shown by the fact that between 2016 and 2017, five murders were registered of three lesbian and transvestite women, and two indigenous women, whereas in 2017 alone, 29 attempted murders were registered. 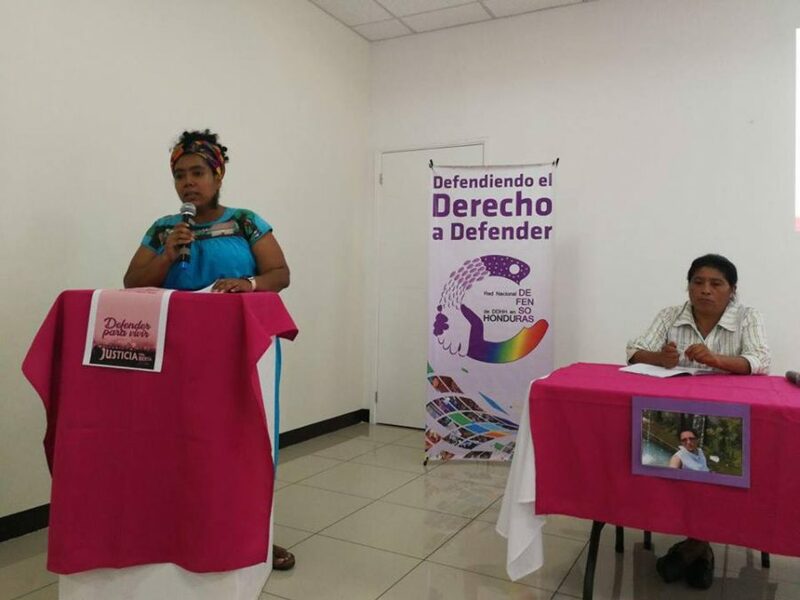 This was revealed by defenders Liana Funes and Melissa Cardoza in their presentation of the report: “This is especially striking because we know that Berta Cáceres’ murder was significant in opening a space for the devaluation and delegitimization of the lives of women defenders in the broadest sense.” In Honduras an institutionality exists that sustains a system of impunity in which neither masterminds nor perpetrators pay for the crimes they commit. 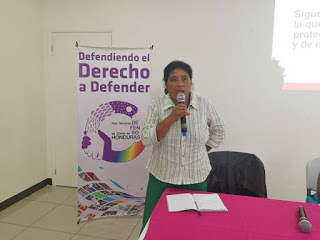 According to the report, there are four groups of women who defend life that have been fiercely attacked: First, those with most attacks registered are the defenders of land, territory and natural assets; a large number of indigenous women are included in this group. Second, those who defend education; the heavy repercussions felt by these women defenders range from expulsion from university centers to death threats, imprisonment, and attacks from university authorities, private security guards, police and military forces, and even from comrades of their own moviments. Third, women who defend the right to defend rights and those who defend a life free from violence and have constantly denounced the rise in femicides. Nevertheless, the rights defended are not isolated from each other. 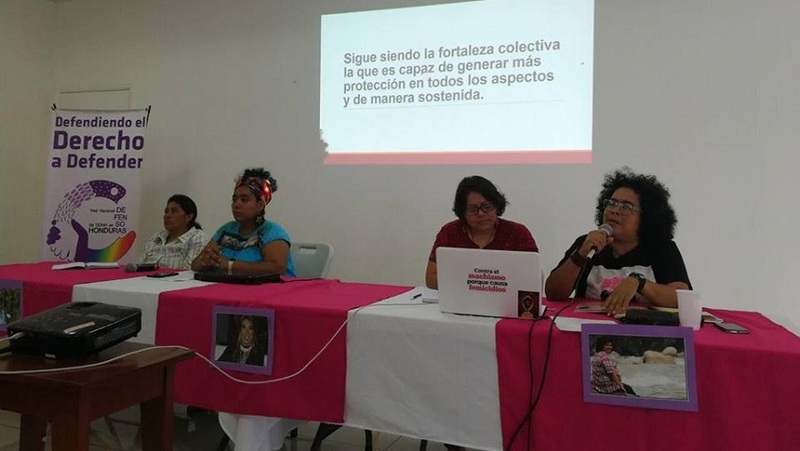 As the report mentions, women defenders have gone beyond the defense of a specific struggle to connect with other struggles in different territories. During the two years that the registry has existed, we have reported 561 attacks in the first year and 671 in the second. Of these, 10 were institutional each year. As many as 414 in 2016 and 518 in 2017 were collective attacks, whereas, 137 in 2016 and 143 in 2017 were individual attacks. Another interesting fact is that of the attacks against women who defend the right to information and freedom of expression, 8 attacks were counted in 2016, and 9 in 2017, which makes 17 attacks against women defenders who denounce rights violators on an ongoing basis. The conclusions of the report show that the State bears maximum responsibility for these different attacks, using institutions such as the Technical Agency for Criminal Investigation (ATIC), the Administrative Office of Forfeited Propery (OABI), local and regional courts, and judges who don’t deal promptly with complaints filed by women defenders, yet do just the opposite with lawsuits brought by businessmen against women defenders. Perpetrators also include preventive police, military police and agents of private security and organized crime. The report also concludes that women defenders are subjected to violence in many different forms. The most common is the misogyny present in all spaces and actors, including the family, communities, businesses, and although it is little spoken of, in the same political organizations and groupings. We can only compare the plunder of territories to what happens to the bodies and aspirations of women. Defending the right to defend! Tegucigalpa M.D.C., May 7, 2018.